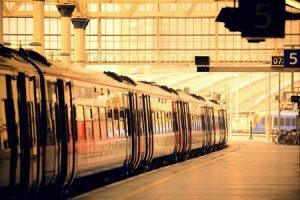 How Much Compensation For A Personal Injury Sustained In A Train Station Accident Claim? Train stations are busy places. In the period of 2016-17, there were 1,731 million passenger journeys in the UK, the highest total since records began in 1950. With the trains being so popular, the stations are often just as busy. Accordingly, accidents occurring in train stations are not uncommon. Train station accidents can happen in a number of different ways. Statistics reveal that as much as over 1,500 passengers in the United Kingdom are victims of train station-related accidents every year. Accidents can occur as a result of slipping on the platform while dismounting or boarding a train; as the result of tripping over loose floor tiles; or as the result of an object falling from a height. Injuries as a result of these accidents can be very serious. In many cases, people who have been involved in a train station accident that has resulted in an injury may be owed compensation. This guide aims to provide information about train station accident compensation and how best to succeed in a claim. If you would like to find out more about this subject, feel free to contact our offices and discuss the matter with a legal expert. A guide to claiming for a personal injury caused by a train station accident. Claiming for a slip trip or fall at a train station. Claiming for a stair or escalator accident at a train station. Other common train station accidents. Claiming for a train station accident as an employee. Claiming for a train station accident as a member of the public. Train station accident facts and statistics. Assessing the severity of a personal injury sustained in a train station accident. The long-term effects of a personal injury sustained in a train station accident. What to do if you have suffered a personal injury due to a train station accident. What can be claimed for after a train station accident? No win no fee train station accident claims. How much can I claim for a personal injury caused by a train station accident? How to start a train station accident claim. Why choose us as your claims service for a train station accident claim. This guide will provide a huge amount of information for anyone who has been involved in an accident in or around a train station. The guide will discuss the various possible train station accidents, how to assess the severity of an injury suffered, the importance of an accurate diagnosis, and what to do if you have suffered a personal injury due to a train station accident. The guide will also explore the varying amounts of compensation which can be claimed after an accident and how much you should expect as a settlement for different types and severity of injuries. It includes a pay table in which you can see the ranges of train station accident claim payouts and how they differ. In addition to this, the guide will discuss the various advantages which come with working alongside a law firm on your case, including the ‘No Win No Fee’ arrangement and the best way in which to begin a case. If you have any further questions, the final section of the guide will provide all the contact information you require. Spillages at the train station which are not wiped away or cleaned. Slippery and wet platforms caused by rainfall. Tripping over baggage left by either staff or passengers. While these accidents are common in train stations, it is important to note that – under the Occupiers Liability Act of 1957 – the railway station operators and train companies have the duty to ensure that passengers are safe from any harm in a train station and, as such, are liable for many accidents which take place in the station. Therefore, you may be within your rights to make a claim for compensation following an injury sustained as a result of a slip, trip, or fall at the train station. For more advice regarding a slip, trip, or fall, you can contact us for free advice. Stairs or escalators at train stations are also a common cause of accidents, mainly due to a combination of the overcrowded platforms and escalators. Problems can also be caused by slippery stairs, broken stairs, or times when there is a mechanical problem with the escalators. Any of these issues can lead to an accident which, in turn, can lead to an injury. As mentioned above, in situations such as these, the liability typically belongs to the operators of the train station or the maintenance service providers. They are required to ensure that the stairs and escalators are well-maintained and safe for users. You may be able to claim compensation if you sustain an injury due to the stairs and escalators in a train station. The amount of compensation will depend on the severity of the injury. Contact us for free advice on how to go about claiming compensation due to any injury caused while using the stairs or escalators in any train station in the UK. Defective doors trapping clothing items or closing on passengers, causing injuries. Exposed sharp edges on trains or in the station causing injuries. Damaged seating or tracks that lead to accidents. No matter the cause of the accident – and as long as it is caused by someone’s misconduct or negligence on the part of the operators or otherwise – you might be able to claim compensation. If in doubt, you can contact us for free advice. In situations where you are an employee of the train station (or are contracted to work inside a train station), an accident which leads to an injury will likely involve making a claim against your employer. According to the Employers’ Liability (Compulsory Insurance) Act 1969 – and as overseen by the Health and Safety Executive – every employer has a duty to provide a safe working environment for employees. When this is not the case, the employee may have a right to claim compensation. This means that the employer is expected to provide the right work equipment, the right health and safety training, and to follow a number of other measures in order to safeguard workers from injury. If there is negligence on the part of the employers or a breach of safety procedures, you can make a train station injury claim as an employee and get compensated. If you are an employee, you may wish to seek out legal representation before making a claim. As mentioned in a previous section, train station operators are required to provide a safe environment for both the workers and passengers. Therefore, as a member of the public, you are within your rights to make a train station injury claim if you have been the victim of an accident which occurred as the result of a mistake or someone’s incompetence – especially on the part of the station operators – or the negligence of the management of the train station. Whatever the case, you can make a claim against the management of the station if you are a member of the public. However, the complexities of the case might make this difficult. If you are struggling with a claim such as this, working in conjunction with a law firm might be the best option. There were 4,069 injuries reported on the London Underground in 2015-16. There were zero workforce fatalities in the period of 2015-16, which is the first time this has occurred since such figures have been recorded. There were three deaths which happened at level crossings in the period of 2015-16. As demonstrated by the annual statistical summary given by the Office of Road and Rail, accidents can and will occur in stations. If you have been involved in such an accident, find out today whether you are entitled to compensation. It is important to note that the severity of the injury sustained during an accident will be one of the most important factors when determining the amount of compensation that can be claimed. As we will see in a later section, injuries which are considered to be more severe will generally be awarded a higher compensation total. This is why properly diagnosing the severity of an injury is so important. In assessing the severity of the injury, getting a professional medical opinion is required. Medical experts are expected to conduct a thorough examination of the claimant in order to ascertain the level of injury. Fortunately, we can also arrange for a local medical examination for our clients if necessary. Once we have this detailed report, we can help ensure that you are seeking the right amount of compensation for your injuries. Injuries sustained during a train station accident can have a long-term effect on the victim. In addition to the physical pain and suffering which can be caused by an accident, there are long-term effects in the form of psychological and emotional trauma, as well as conditions which do not manifest until later in the victim’s life. Inability to work after the accident. Reduced earnings as a result of the accident. Inability to continue a professional career. Depression or mental health conditions as a result of the accident. Increased vulnerability to other medical issues. Note that the severity of the injury will likely determine the long-term effect on the victim, though it will be considered alongside the long-term implications when deciding a settlement amount. Collect Evidence: This means you have to record everything that might help your case. You should take photographs of the injury, the scene of the accident, and anything else which might be considered relevant to the claim. You may also have to gather contact information from witnesses, as they may be useful when pursuing the case. Get a Medical Opinion: This can help to determine the severity of the injury sustained. We can arrange for local medical examination for our clients if needed. Record Losses: The number of losses sustained as a result of the injury will give an indication on what can be claimed. Losses could be general, such as travel expenses and medical expenses. It is important to document all losses. Once you have carried out the above steps, you can take this evidence to a Claims Service and begin your case. General Damages: This refers to those types of damages that may not be the same for every case, such as the pain, suffering, and psychological effect suffered as a result of the injury. Medical Expenses: This refers to the medical expenses incurred as a result of the injury you sustained. Special Damages: If the accident results in damaging special items, you could claim compensation for them, such as phones, tablets, laptops, etc. It is important to note that the nature of the accident and injury will determine what could be claimed. However, noting all losses and expenses can ensure that you are properly compensated. One of the most pressing issues facing people considering a claim can be the need to fund the process. We have recognised that those who are suffering from an injury may not be in the best possible place to make a claim, financially speaking, especially if they have been forced to take time away from work. That’s why we offer our ‘No Win No Fee’ agreement. What is this ‘No Win No Fee’ deal? Simply put, the ‘No Win No Fee’ arrangement is a Conditional Fee Arrangement (or ‘CFA’) in which legal representation is provided to our clients at no charge, until such as time as the case is successful. As a result, you don’t initially pay us any fees during the time when we are working on your case. When the case is won, we will take our legal fees from the compensation amount. If the case is unsuccessful, we will not do so. This can be a far easier way in which to arrange for legal assistance when making a claim. Trying to determine the full compensation total without the facts of the case can be tough. Given the unique parameters which are often so important, giving a truly accurate estimate might be almost impossible. However, we have spent many years working in the legal world and we are able to provide this table. It contains average payouts for certain injuries. Toe Injury Full Amputation £27,750- £42,600 Accident leads to loss of the toe permanently. Foot Injury Serious £19,000 - £29,800 Loss of the foot temporarily due to the accident. Foot Injury Severe £31,900 - £53,200 Loss of function of the foot with serious pain as a result of injury. Foot Injury Amputation £63,825 - £83,325 A situation where accident results in the permanent loss of the foot. Finger Injury Severe Fracture Up to £27,925 Fracture of the finger causing severe pains as a result of the injury. Finger Injury Amputation £6,575 - £19,000 Accident leads to loss of the finger. The table above shows typical compensation payout amounts. However, there are other possible injuries not covered in this table like ankle, back, shoulder, eye, and neck injuries. It is important to note how much the severity of an injury can affect the compensation payout. Furthermore, if you need a more detailed or accurate idea on the amount of compensation you may receive, please feel free to contact our team. clients a free, no-obligation legal consultation. In this session, we will be able to judge the viability of your claim and provide you with an answer as to how successful you might be and how much compensation you might expect to receive. Our experience and history in the legal trade mean that we can offer insightful, clear advice at a time when it is most needed. Following this session, you may decide to work with our team on the case. If you do, then we can handle the main bulk of the work from here on in. This includes arranging for you to see a local doctor and be properly diagnosed, it involves settling our ‘No Win No Fee’ agreement terms, and it can then involve further fact-finding, the filing of proper paperwork, and – eventually – the successful resolution of your compensation claim. With our assistance, the entire process is much easier. If you have to claim for train station accident, choosing the right law firm is vital. Our team has years of experience in handling all kinds of compensation claims. In addition to this, we have the expertise, knowledge, and skills required to maximise your compensation and make your claim successful. Our service puts the interest of our clients first, making your life much easier. When you have suffered an injury, working with our experts allows you to relax and focus on recovering while we handle the hard work. With our free legal consultation, our ability to arrange local medical appointments, and our ‘No Win No Fee’ approach, there has never been a better time to call our offices. Hopefully, this guide has made it easy for anyone involved in a train station accident to start a claim. All it takes is one phone call. When you call us, you get free advice on what next to do and how to begin your claim. Our telephone number is 0800 073 8804 and we also have a web chat function (as well as the contact form) on our website. When you need the very best help with a train station accident compensation claim, we are the law firm for you.